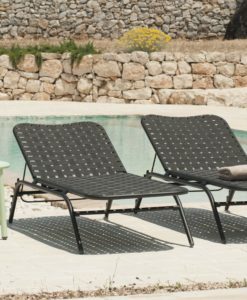 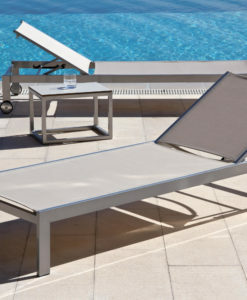 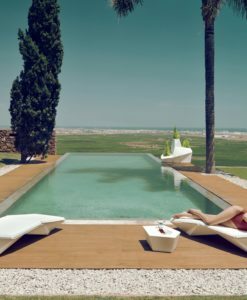 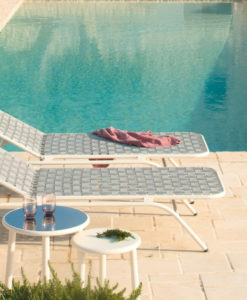 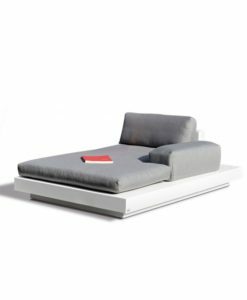 Sleek teak frame comes with black and white powder coated aluminum details, European outdoor fabric and Quick-Dry foam cushions make this chic collection. 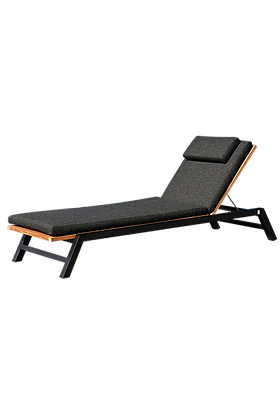 Complete with club chair, two seater and three seater sofa, single and double chaise lounger, ottoman, dining and bar sets, coffee and side tables, plus decorative lanterns! 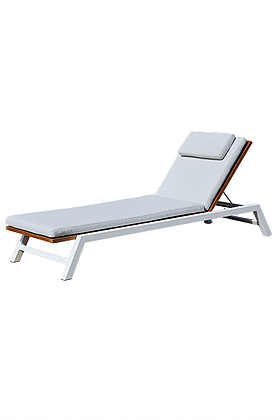 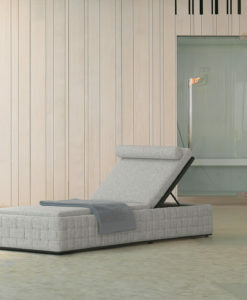 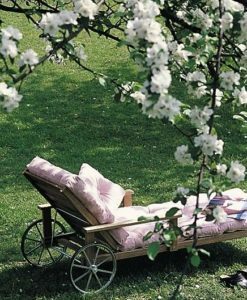 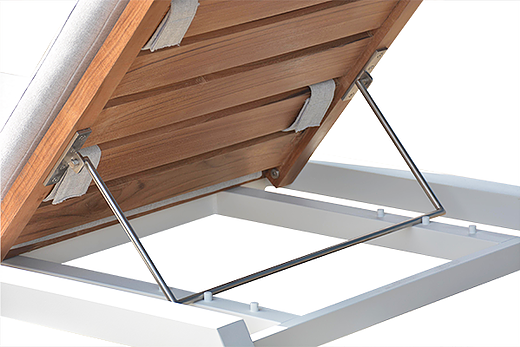 Modern teak aluminum chaise lounger is not only aesthetically pleasing, it is also comfortable. 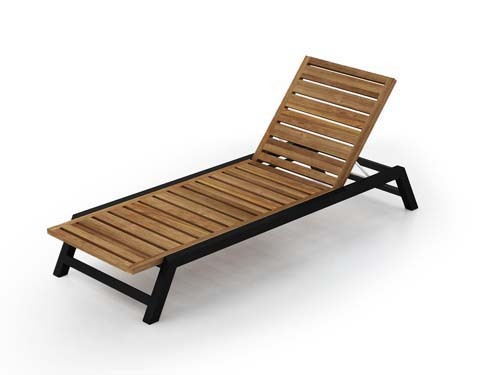 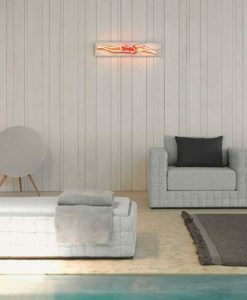 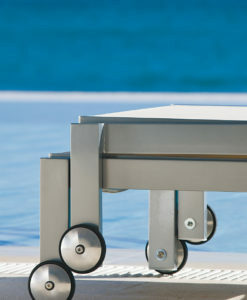 This magnificent piece is detailed with black and white powder coated aluminum which pronounces its style and longevity. 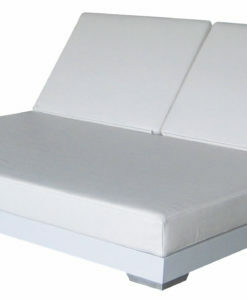 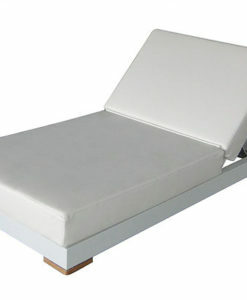 The modern teak aluminum chaise lounger also comes with cushions that are made from market leading quick-dry cushions. 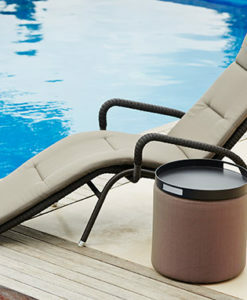 Theses quick-dry cushions makes outdoor relaxation very easy, even after a shower of rain. 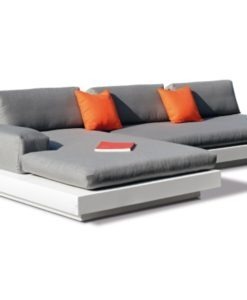 Complete with club chairs, two seater and three seater sofa, single and double chaise lounger, ottoman, dining and bar sets, coffee and side tables, plus decorative lanterns! 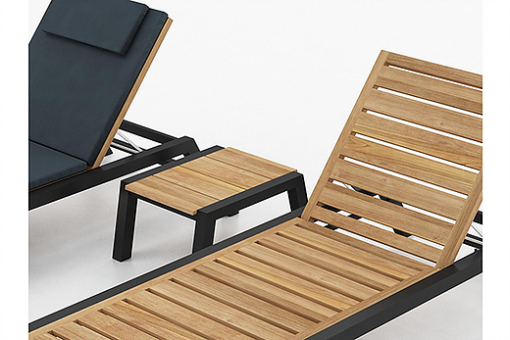 Grade A teak is the highest quality of teak wood. 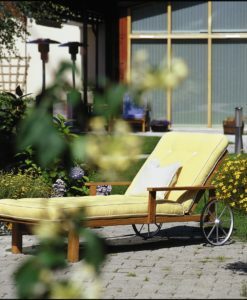 It is timber taken from the center of the log (heartwood) of a fully mature tree. 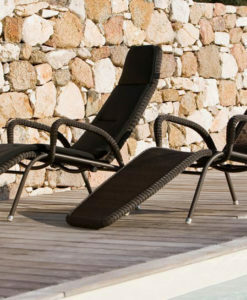 In addition, grade A teak can be easily recognized by a golden brown color, close grains and glossy surface. 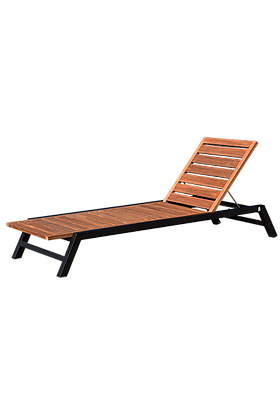 It is high in teak natural oils which plays the key role in the teaks outstanding resistance to outdoor elements, as a result the teak wood is protected from unfavorable weather elements and repels insects. 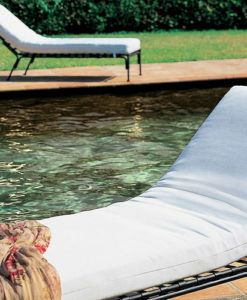 However, it only makes up about a fifth to one quarter of the log, which results in its high price.